Planned Parenthood, America’s largest abortion corporation, is in panic mode. With the election of a president who has promised to uphold pro-life values, Planned Parenthood is now at very real risk of losing some of its taxpayer funding, if not eventually all of it. Senator Rand Paul recently introduced an amendment that would have officially stripped Planned Parenthood of all its federal funding; that measure failed, but if a pro-life majority were to uphold its campaign promises, the gravy train would come to a stop. And that would be a huge loss for Planned Parenthood; it rakes in approximately half a billion dollars in taxpayer funding every year. So the abortion corporation’s representatives have frantically moved into damage control mode, trying to convince Americans that women need them and rely on them — not for abortion, but for “health care.” The only problem? They’re lying. Far from an organization that women rely on, only a small percentage of women receive health care at Planned Parenthood, and the amount of health care provided there is truly miniscule. They perform less than 2% of all cancer screenings, less than 2% of all breast exams, and less than 1% of all pap exams in the United States. Prenatal care at the organization is, for all intents and purposes, non-existent. Less than 3% of women overall in the United States use Planned Parenthood for legitimate health care services. And it’s not difficult to see why; over the years, health care services there have dropped steadily, while abortions have increased — even as fewer and fewer women go to Planned Parenthood. Its priority is clearly abortion, not health care. In fact, it’s abortion — not health care — that former Planned Parenthood president Cecile Richards called “vital” to their mission. As for the claim that low-income patients will have nowhere to go without Planned Parenthood? Well, that’s not quite true, either…. There are far more options for health care beyond Planned Parenthood, which is outnumbered greatly by comprehensive health care clinics like Federally Qualified Health Centers (FQHCs). 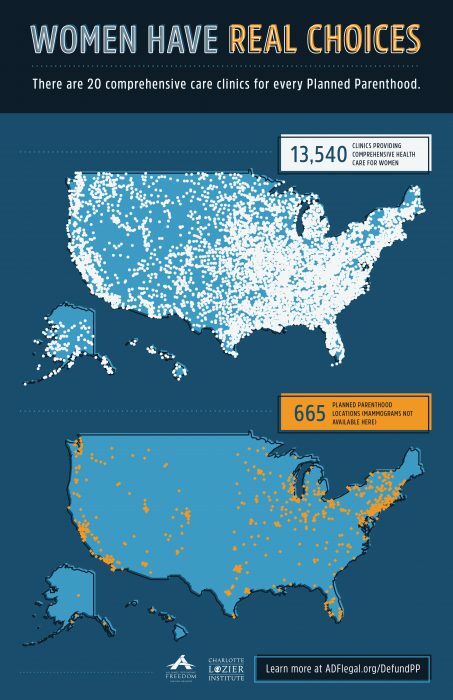 There are over 1,100 FQHCs operating at over 6,000 sites across the country, with an additional 9,000 community health centers; Planned Parenthood operates approximately 650 facilities. Planned Parenthood sees approximately 2.5 million women each year; FQHCs serve over 21 million. 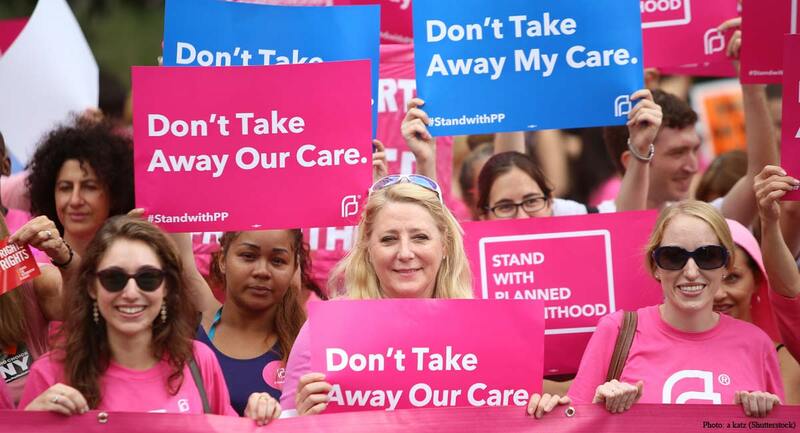 Low-income women reliant on Planned Parenthood for health care? Not hardly. But Planned Parenthood will do and say anything to keep the taxpayer dollars flowing in.